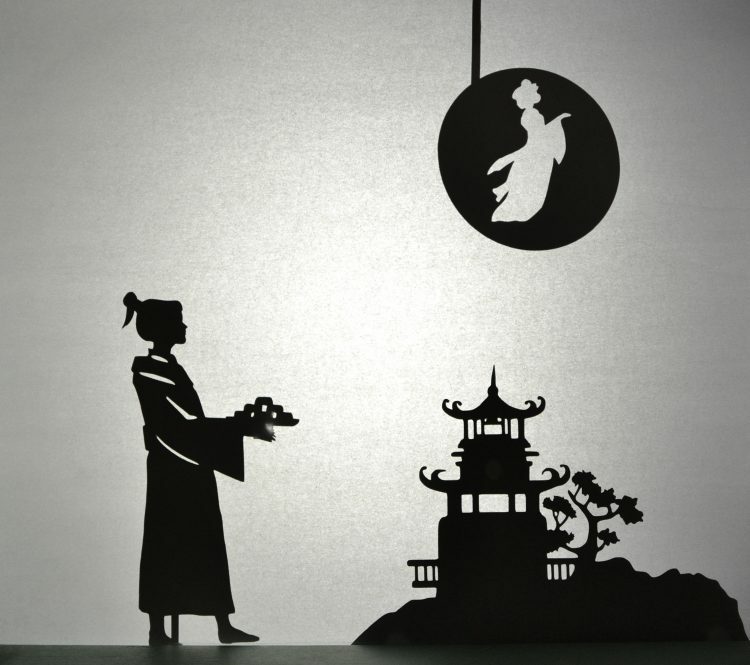 Celebrate the Mid-Autumn Moon Festival by staging a shadow puppet show based on the Chinese Moon legend that explains the origins and traditions of the festival. Falling on the 15th day of the 8th month of the Chinese lunar calendar, the Mid-Autumn Festival happens in September or October when the moon is the biggest and the brightest. For a casual onlooker, it is associated with mooncakes, paper lanterns and fire dragon dances, but the actual sentiment of the festival is very touching. “May we share the beauty of the moon together, even if we are hundreds of miles apart,” says a romantic Chinese poem. People watch the moon and think about all the relatives and friends far away who would be doing the same. But how did the festival start? Behind it, is a Chinese legend of Chang E, a loyal and loving wife who turned into a moon goddess. After I read it, I wanted my children to know it as well, and here we love to do our storytelling with shadow puppets. 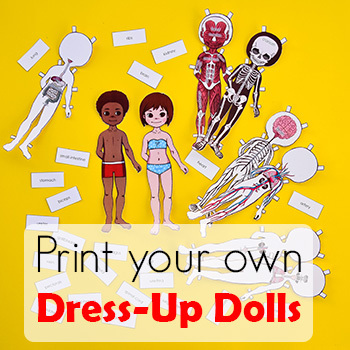 They’re easy to cut and use as simple props for the kids to learn stories and later reenact them on their own. 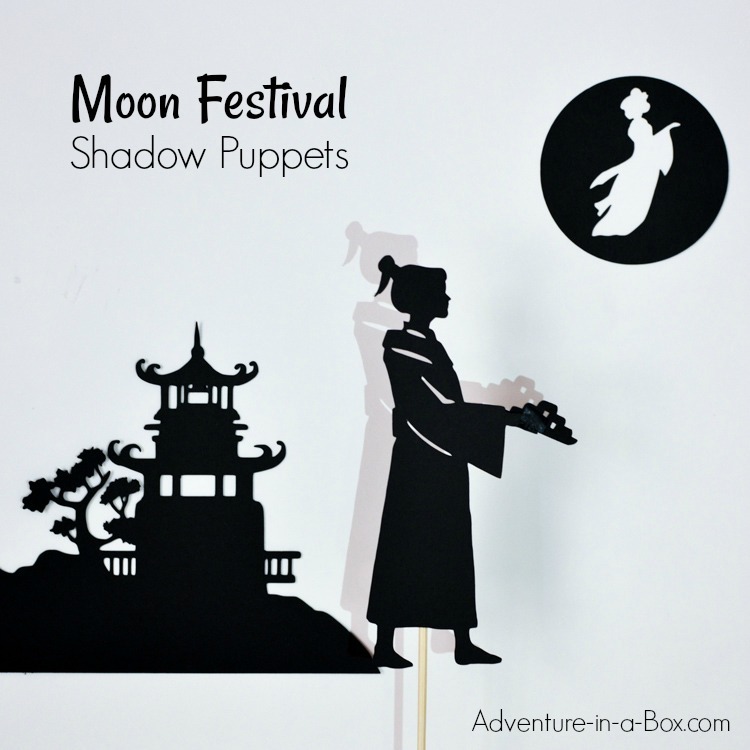 If you have always celebrated the moon festival, perhaps a shadow puppet show would be a pleasant addition to your annual tradition, as excited children wait for dusk to turn to dark. 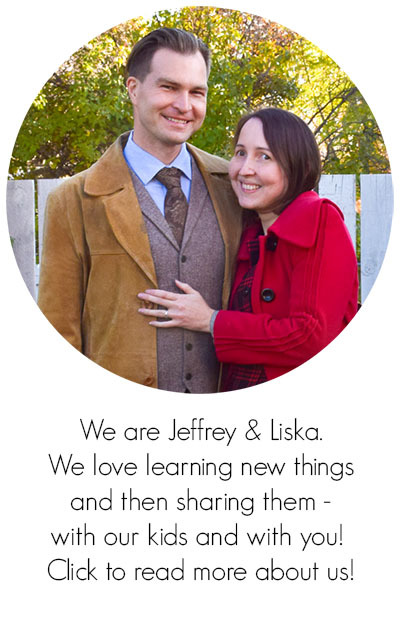 Or possibly, like us, you are simply enjoy exploring new traditions and bringing multicultural experiences to your family. 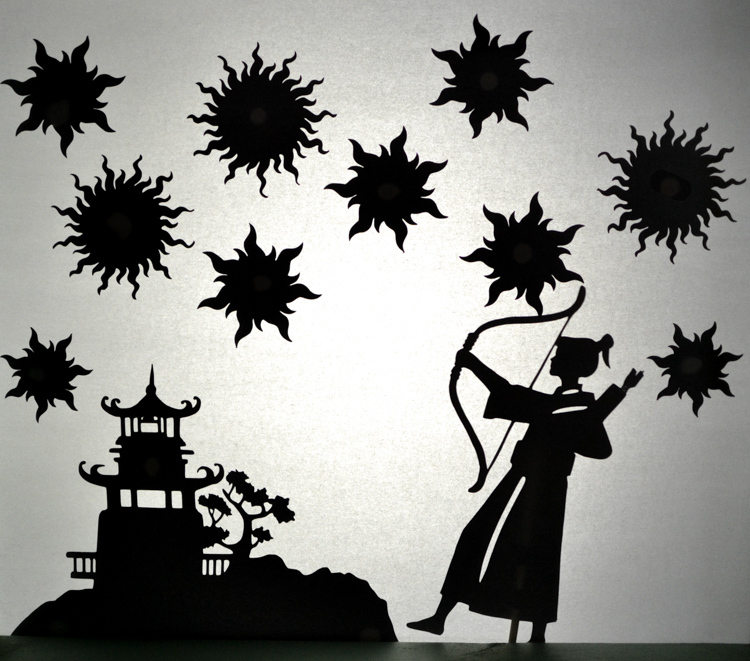 Either way, we hope that the moon legend shadow puppets can bring some more magic to your Mid-Autumn festival! Buy the puppets already cut from our store! Once upon a time, ten suns rose in the sky, scorching many crops and people to death. A brave man called Hou Yi came to rescue them: he excelled at archery and shot down nine of the suns. Only one sun was left in the sky to give people light and warmth. On hearing of this amazing feat, people came from far and wide to admire Yi. Among his admirers was Pang Meng, whom Yi accepted as his apprentice. Even the immortals noticed Hou Yi. One day, the Queen of Heaven came down to earth. She told Yi that as a reward for his bravery, the gods would give him an elixir of immortality, so that he could drink it and join them in Heaven. But Yi was married to a beautiful and kind woman, Chang E, who he dearly loved. He wanted to become immortal, but he wanted to spend his life with her more. So he gave the elixir to his wife and asked her to hide it away. But Pang Meng broke into Yi’s house while he was away, and demanded the elixir. Chang E couldn’t fight him, but she wouldn’t allow such a man to have the elixir. She drank it herself and immediately ascended into the skies. When Hou Yi didn’t find his wife at home, he went looking for her. The night was bright with the full moon rising high above him. Yi looked up and was amazed to see a figure which looked just like his wife appear on the moon! Chang E’s love for Hou Yi drew her towards the Moon, which was the nearest place to the earth in the heavens. Upon realizing what had happened, Hou Yi brought her favourite foods, cakes and fruit, out in the moonlight to share with his wife. On hearing the story, many people started participated in bringing their offerings to the moon. This is one of the origin myths of the Moon Festival. 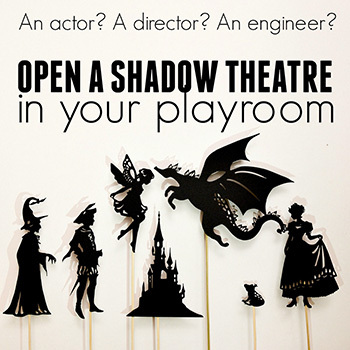 You can take a peek at our shadow puppet performance. No throwing tomatoes though! The script and design done by me, while the narration and the technical execution is by Jeffrey. While passing an elixir from one character to another proved a little difficult for a solo puppeteer, I thought that shooting down the suns with a bamboo stick was executed amusingly. We have a handmade wooden theatre, and we stretched baking parchment across the opening, but of course, any old box would do. 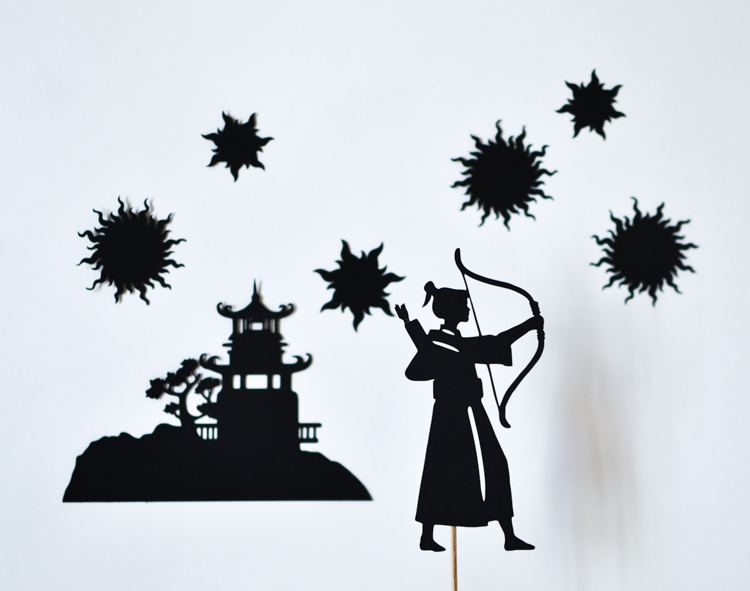 The decoration silhouettes, like the suns or the Chinese temple, can be attached with double-sided foam tape (some stick better, and some worse) or a bit of adhesive putty (which sticks pretty well). The post contains Amazon affiliate links to the products we used. 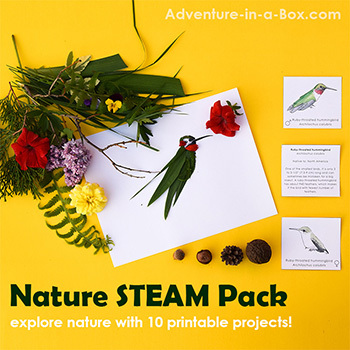 You will find the puppet designs to be in JPEG formats: that way, you can use them for printing on paper and cutting by hand or for importing into the software of a silhouette cutting machine. Regardless of what you do for cutting, I recommend using 80-90 lb black paper for the puppets. 65 lb could do as well, but will be a little on a thin side; 110+ lb would work great for stiffness, but increases the difficulty of cutting. 80-90 lb is my happy medium. Bamboo skewers make convenient puppet sticks. 2 — There is still nothing wrong with cutting with scissors! 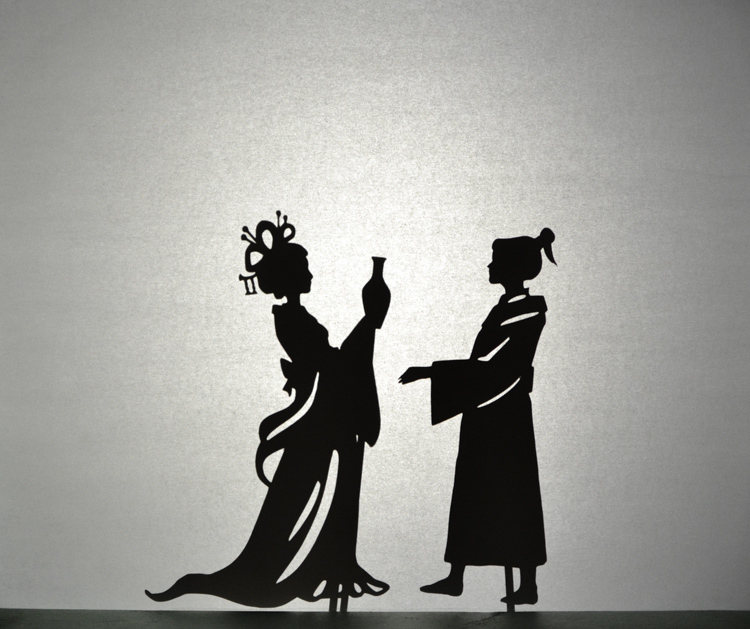 I recommend printing the silhouettes on black paper. It’s a little more difficult to see the design than on white paper, but it’s not at all impossible, as you can see for yourself on the picture above. That way the puppets are black on both sides, and little discrepancies between the printed design and the actual cut will not show up. 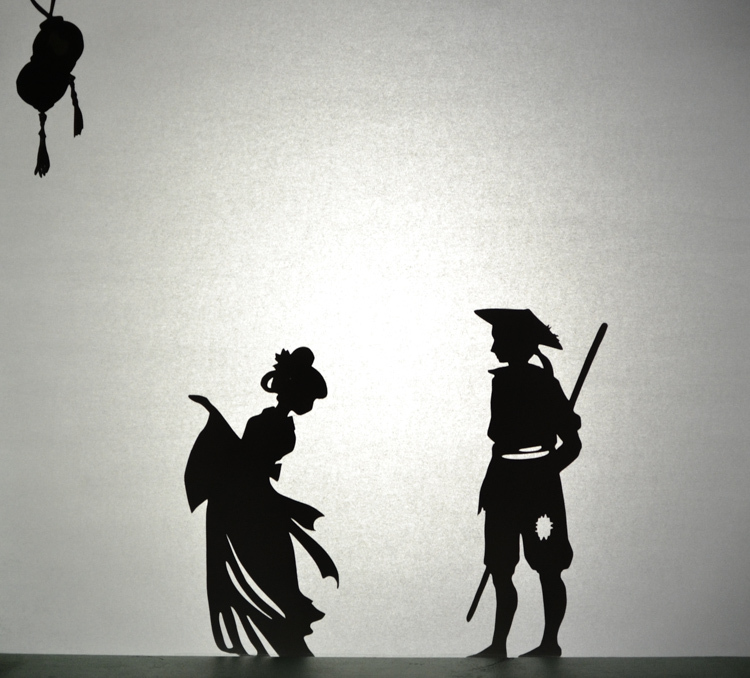 For a demonstration, you can hop over to this project and watch a video of me cutting a silhouette design. And you can also buy the puppets already cut from our store! 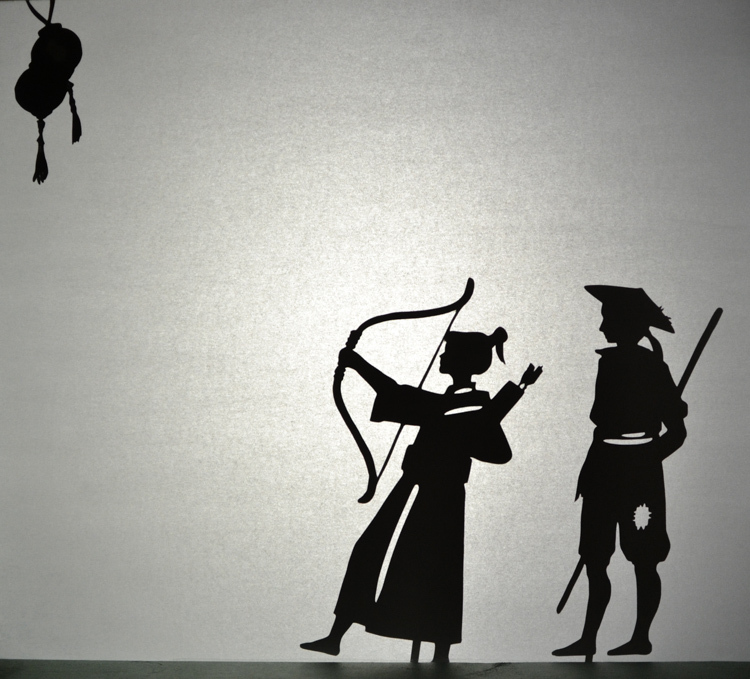 There you can also check all of our shadow puppet sets. Enjoy your Mid-Autumn Moon Festival!